March of Dimes | March for Babies | Take steps to help babies. Jaden survived! Born almost 3 months early and spent 2 months in the hospital. Enter your ZIP code to find an event in your area. Not at your computer? Not a problem! Enter your email address and we'll send you more details for your event. Thanks for your interest in the March for Babies! We emailed you more info, so check your inbox! Ready to walk? It's easy to get started. Just fill out the short form below. First name Last name Email address Zip code Select an event (You can change this after you register.) Choose a username ? Choose a password ? Have you participated in the past? Click here to log in. When you walk, you help. "My family and I support the March of Dimes because of the most grueling, scary and emotional experiences of my life — the premature births of both my sons George and Jaden. My second son Jaden — unexpectedly born even earlier than George — was born at 29 weeks and weighed 3 pounds, 7 ounces. 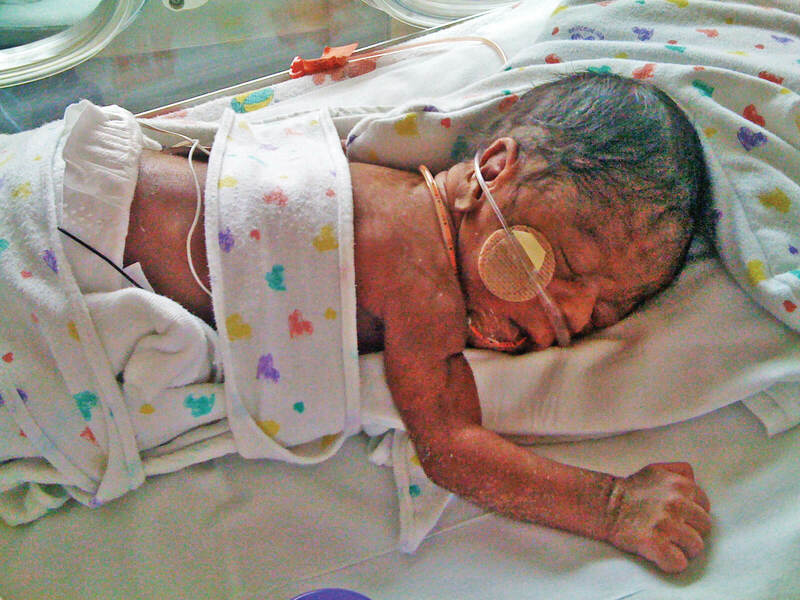 He spent eight long weeks in the NICU fighting for his life. I spent two and a half weeks fighting to get my health in order. Despite these traumatic experiences, I am beyond blessed to say today that I have two happy, beautiful and healthy boys"
Download the official mobile app for iPhone or Android and take your fundraising with you. Tap your way to your best campaign yet! © 2017. All rights reserved. The March of Dimes is a not-for-profit organization recognized as tax-exempt under Internal Revenue Code section 501(c)(3). Our mission is to improve the health of babies by preventing birth defects, premature birth, and infant mortality.